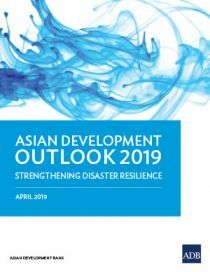 The Asian Development Bank has published the Asian Development Outlook 2019 report which is available to download here. Some findings specific to Fiji were highlighted in the Fiji Times article from 08 April, 2019, “Growth Boosters” by Monika Singh. “ECONOMIC growth is projected to improve to 3.2 per cent in 2019 with mining and quarrying expected to contribute to it, according to the flagship report launched by the Asian Development Bank last week. The full Fiji Times article can be found here.